Customized Quench Tank for Oil Quenching of Multiple Metal Stamping Tools - L&L Special Furnace Co, Inc.
L&L Special Furnace Co., Inc., has supplied a custom designed and manufactured oil quench tank to a metal stamping manufacturer in the Midwest. 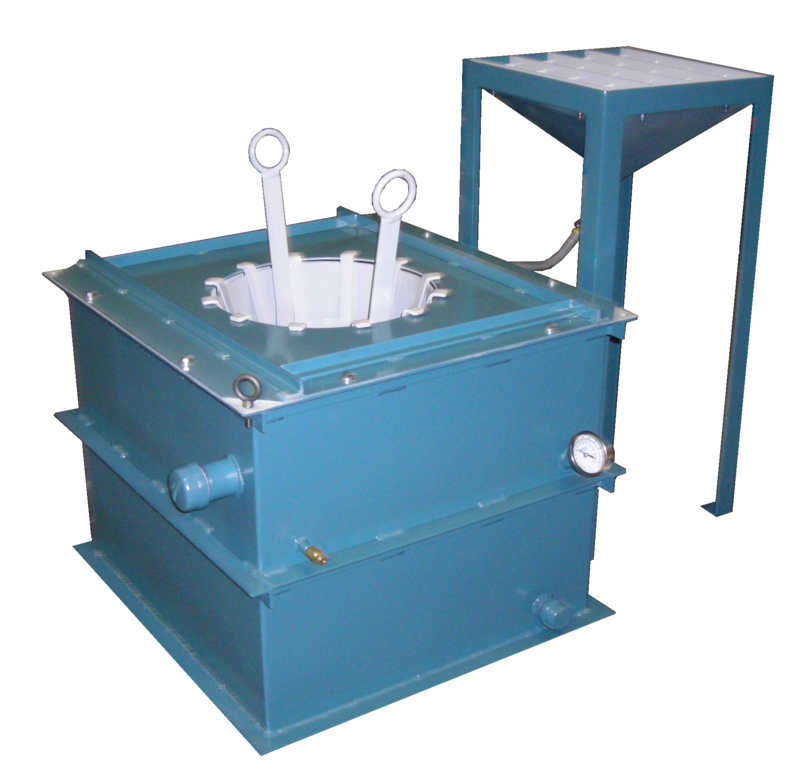 The quench tank is specifically used to quench metal stamping dies that are heated to 1,550°F. Usable dimensions are 12” wide by 12” high by 24” long. The parts are placed in a basket prior to being quenched. They are then manually placed into the quench oil. 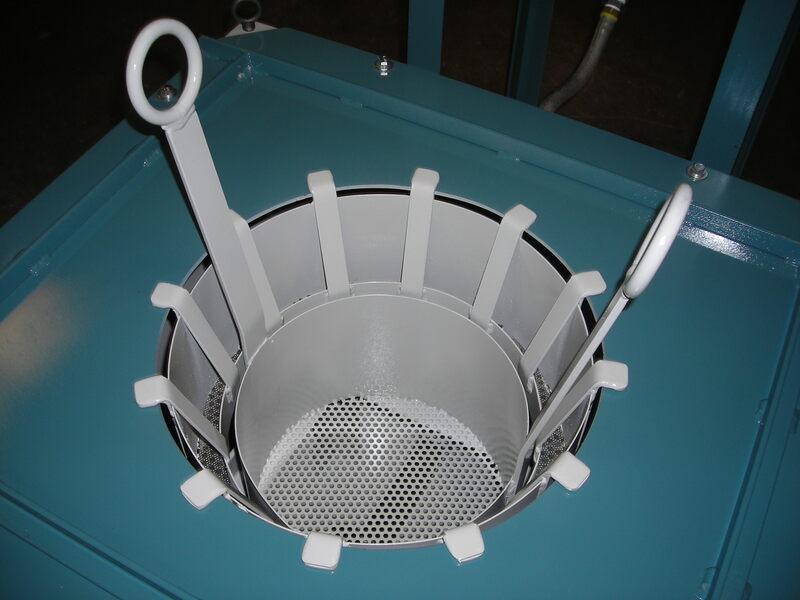 The quench tank has an oil media that is agitated by a 1 horsepower pump that is directed up under the parts basket. There is an oil to water cooling heat exchanger to control the oil temperature. The system is designed to run one cycle per hour with 35 pounds of material. A resting stand is designed with the quench tank to allow the parts to drain after quenching. The oil flows back into the quench tank through an integrated drip tray that is attached to the stand. Ball valves located on the inlet and outlet of the quench tank allow further control of the quench media. L&L offers a wide selection of quench tanks for various applications. This quench tank is a great companion for an L&L QD or QDS Series dual chamber hardening and tempering furnace. Please contact L&L direct to discuss any of your heat treating and quench tank needs.